Magens Bay- If you’re really wanting to stay on top of your fitness game on your visit to St. Thomas, Magens is your gal. At a mile long, this is the big one for swimming laps. Magens Bay is not known as a St. Thomas snorkeling beach, but throw on a mask and you’ll see bait fish, conch shells, and maybe a sting ray or two while you venture across this large bay. With swim zones marked and lifeguards on duty, Magens is the perfect spot for endurance swimming. Food, watersports, and beach shops are there for your less fit-minded family and friends, and the bar is ready for your workout reward. Tip- If you’re at Magens Bay on a high-traffic day and need a more open swim-zone, the left side of the beach is usually much less crowded. Sapphire Beach- Most beaches in St. Thomas do not experience waves throughout most of the year, but Sapphire is known to get a little chop every now and then. While Sapphire Beach is calm enough for a leisurely snorkel or floating atop a raft, it’s also a great swimming spot in St. Thomas for a little water resistance to up your workout. The bay is also large, well protected, and offers great opportunities for snorkeling Sapphire Beach, providing the perfect conditions for an extended swim. Beach chairs, watersport rentals, and adorable white-cheeked pintail ducks are there for your group’s enjoyment, and beachside service is ready to hand you that much-deserved Painkiller cocktail. Tip- Monitor water conditions in St. Thomas with weather station apps such as Wunderground for water temperature, currents, and wave sizes. Coki Beach- Coki is one of the most popular beaches in St. Thomas. With beautiful cays just off the shore and its convenient location next to Coral World Ocean Park, it’s no surprise why people flock to this beach. Coki is fully equipped with beach chair and watersport rentals, a dive club, and food and St. Thomas Shopping vendors, giving plenty to do for your shore-dwelling friends. Meanwhile you’re swimming in crystal blue Caribbean Sea amidst the abundant schools of fish that Coki is so well-known for. The beach is well protected by the cays off shore giving you plenty of room to swim out your laps if the shore gets a little busy. 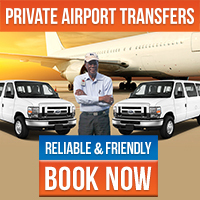 Tip- Check a cruise ship schedule before planning your visit to Coki Beach as it can get crowded on ship days or simply plan to go in the later afternoon to avoid the rush. Secret Harbor- This beach is known for its calm water and abundance of coral and marine life. Secret Harbor is the perfect location for a leisurely family swim and snorkel on St Thomas. The quiet bay is perfect for children, and the underwater sights will keep everyone engaged and active. If you want to kick it up a notch, this St. Thomas bay is large enough for some more intense distant but shallow throughout for enjoyable snorkelling as you power through. Complete with beach chair and watersport rentals, a floating dock, facilities, and a beachside restaurant, Secret Harbor has everything you need for a day at the beach with the whole family. Tip- The Cruzan Beach Club restaurant at Secret Harbor has happy hour daily from 3-7pm featuring great drink and app specials. Try the Ahi Nachos! Lindquist Beach- Also known as Smith Bay Park, Lindquist Beach is my favorite beach in St. Thomas. Its soft sand and quiet rolling waves give off such an air of relaxation that I’d be hard pressed to gear up for a heart-pumping swim here. But give me an action-packed day, and Lindquist is where I’ll wind it all down. If you find yourself still thinking about work, carrying stress from home, or simply looking for that sigh of relief only found in the Caribbean Sea, this is the perfect beach for a relaxing, leisurely swim complete with peaceful floating and meditation. When you’re back home doing your cool down or finishing an intense yoga session, Lindquist will be your happy place. Tip- Lindquist is at its best before sunset. Between 3-6pm is where you’ll find the best views and warmest water. Being on vacation doesn’t mean your fitness routine should go dormant, but make your activity a unique experience that enhances your vacation. 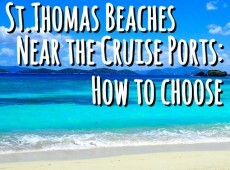 On your visit to St. Thomas, consider booking a Private Beach Hopping Tour or St. Thomas Island Tour with Beach Stop in the middle of your stay to visit three of these beaches and rejuvenate your energy for the rest of the week while providing an experience for the whole family. Fitness can be fun, even on vacation, and taking some time for your health will boost your mood for an even better trip to St. Thomas. Whether you’re a fitness-enthusiast or just looking to ease some stress and keep those vacation calories in check, get your fit in with a swim in the most beautiful pool in the world, the Caribbean Sea. Be sure to check out our Excursions page to book the best excursions on St. Thomas! 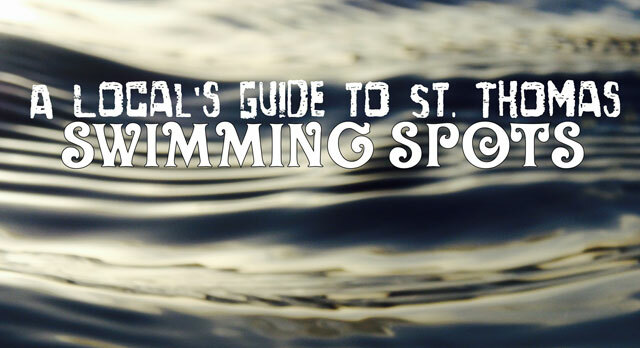 If you have any questions about swimming spots in St. Thomas or any inquiries about the island, call or e-mail us for authentic local insight! 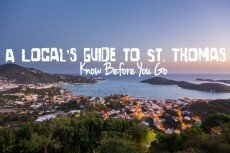 A guide to the best beaches in St. Thomas for swimming. 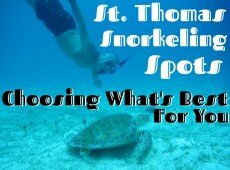 Power swimming or leisurely snorkeling, St. Thomas has beaches for all swimmers on vacation.